SportsDork.com » NFL News -- Philadelphia Eagles Rumors, Commentary, News. NFL Rumors, News. Videogame News. It’s probably best that I start out by stating the obvious: the Cowboys pitiful season is beautiful and awesome. The Cowboys being this bad — in a season with such high expectations — it’s one of those wonderful things that makes life worth living. 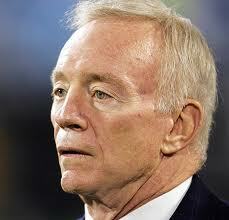 With that said, we can move onto the less obvious: who Jerry Jones needs to hire to coach his football team. And to make an educated choice, one needs to understand the dynamics of this team. This starts at the top. Jerry Jones is as public an owner as anyone in the NFL. He wants it this way. He makes personnel decisions despite not having a scouting background (or much of a football background at all). He speaks in public despite a penchant for making statements his fellow owners and quite often members of his own organization wishes he wouldn’t. In short, he’s not your typical hands off owner. As the coach, you’ll be operating under his constantly looming personality. Then you can add to that the media dynamic. Eyes are always on the Cowboys. Local and national media. The never ending news cycle. It’s not for the weak minded or those prone to being overcome by emotion. And it’s not for those who want total control of the organization. You need a strong voice in the locker room. And someone who’ll need to show discipline not only there but when facing the media. For the Cowboys problems have often been aired to the public. It’s been a recipe for disaster and Jones should seek someone who gets the players’ respect and can keep it by not making mistakes in front of the press that embarrasses them. Mike Florio says it shouldn’t be Jon Fox. I disagree. Let me explain why. Florio claims the Cowboys need someone who will take full control. Jones needs someone who wants full control, because Jones doesn’t know how to exercise full control. That’s fine to say, but Jerry Jones isn’t going to let that happen. And in the long run, Jones as the final decision maker on personnel is bad for the Cowboys. But in the short-term this team has talent. It’s shallow — they need line depth, particularly — but there’s no reason this team isn’t competing for a playoff spot in 2011. And while you can take a look at the recent history of the Panthers and draw that conclusion, keep in mind this team was a steamroller in 2008. Fox’s fall mirrors that of Jake Delhomme. When Delhomme’s play dropped off a cliff, the Panthers were not ready to replace him. You may claim that to be partially Fox’s fault too, but many good coaches have had their seasons ruined by poor quarterback play. And the Cowboys already have a good quarterback. Fox had this team in a Super Bowl. Fox ran a disciplined ship in Carolina. Fox knows how to deal with the media, and any coach that lasts as long as he did with one team is someone who gets the respect of his players. As an Eagles fan, I hope Jerry Jones sticks with Jason Garrett and he fizzles. But as a non-partisan observer, I’d advise him to interview John Fox this winter. Check out our NFL FAQ. I’ve updated it with some what I hope are some easy to understand guidelines for the 2010 uncapped year. I just started this and expect to have to add and edit it as things become clearer or folks remind me of something I’ve missed. What is pretty clear — an uncapped year is going to be bad for both sides. The owners have managed to put in some provisions that severely restrict player movement, that will limit salaries from rising to ridiculous levels in the short term. Western NY is going to be crazy this fall. Honestly, I’m happy for Bills fans. I wouldn’t be happy for just about any other team, but these poor people needed some excitement. The last few years have been a disaster, and this off-season has been particularly terrible for them as well — they’ve been losing talent and guys are getting in trouble. The organization would have had some real trouble filling Ralph Wilson with the status quo. Now that place is going to be rocking. I guarantee you every game is sold out well before the season starts. Wow. It’s really going to be something. Yesterday, the Eagles traded one of their backup defensive backs, a guy who has virtually no value to them, to the Jets for a 5th round draft pick and (potentially) a 2nd round pick in 2010. Today, the Patriots traded Matt Cassell, a promising young quarterback who they slapped a franchise tag on worth $15 million, for a single 2nd round pick (if the rumor is true). Now, maybe this is some sort of personal favor from Belichick to his old buddy Scott Pioli. But if it’s not, I can’t believe the market for Cassel was this shallow. I mean, there’s good reason to be skeptical of some of the ridiculous praise thrown at him this year, but still — the Eagles got a 2nd round pick for AJ Feeley at one point! Update: After thinking about this for a few more minutes, there’s no way the Patriots do a deal this seemingly imbalanced with any other team. It pays to have good friends, and Scott Pioli is cashing in. In bad news for the Giants, Adam Schefter reports the Cardinals have decided to use their 2009 franchise tag on linebacker Karlos Dansby. Dansby is part of a core of young (and inconsistent) talent on the Cardinals defense, and the team feels they can’t afford to lose him. There were many folks speculating that the Giants, with an unsatisfactory situation at linebacker, would make a run at Dansby. In 2008 the Giants defense finished 21st defending the tight end and 31st defending the running back (passing game). Interesting. This is a guy who seemed completely disinterested in being anything but a Giant. So I wonder if there’s an agreement to do something long-term before the season begins. Or, I wonder if the Giants fear the hits this guy takes and the short shelf-life of a running back and didn’t want to give him a lot of guaranteed money, taking advantage of his desire to stay with the organization. Jacobs seems be happy for now and thinks they’ll get a deal done. But again, I wonder.